At 3 km long, a village with a joyous atmosphere jam-packed with restaurants and streets alive with vendors ready to bargain for their goods, booking at the best hotels in Karon Beach Phuket not only guarantee luxury and caring service, but also the perfect location near attractions and entertainment, and only 10 minutes from Patong. Secondly, this is an area where accommodation types are so diverse it encompass any requirement. 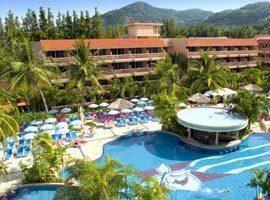 Family orientated places such as Centara Grand Beach Resort, its more budget friendly cousin Centara Karon and the fabulous Movenpick, all of which offer kids clubs, pools with water slides and a wealth of other family friendly facilities will see you and the children entertained and content. You will also find adults only beachfront hotels such as Beyond Resort and Spa, romantic pool villas at Centara Villas Phuket, the private pool suites at Centara Grand and penthouse plunge pool villas at Movenpick are the best places to stay for couples. 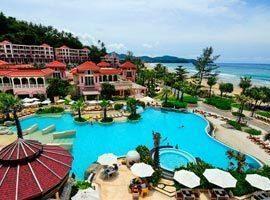 To put you on track for a fabulous holiday in Phuket we list 9 of the top resorts in Karon. We offer a brief description of each to help you decide which will be the best place for you and guarantee a great deal no matter which one you choose. Andaman Sea View offers noticeably spacious superior and deluxe rooms which feature extensive facilities such as cable TV, fridge and safety deposit boxes. It is located steps from the beach and entertainment. Located on a sloping hill Best Western allows views of the bay and placid lagoon. 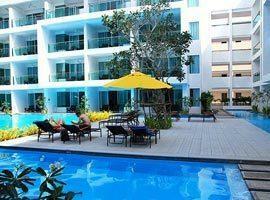 It offers superior and deluxe rooms with private balconies as well as a large family room sleeping 2 adults and 3 kids. 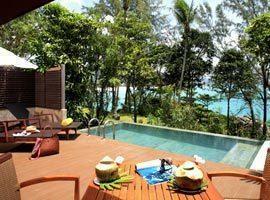 Centara Grand offers the ideal honeymoon accommodation in private pool suites as well as 2 bedroom family accommodation. 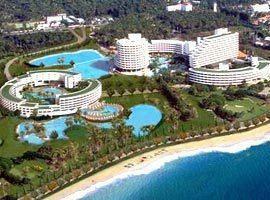 All rooms are ocean facing and its features a beachfront water park. Offers extensive room choices including deluxe lagoon view rooms, romantic honeymoon suites with a spa bath, private pool cabanas, spacious family rooms, 2 bedroom accommodation and kids club. Perfect for couples it offers cozy deluxe ocean view villas, a spa villa featuring a jacuzzi bath on your private balcony with ocean views as well as private pool villas which are ideal for honeymoon stays. The Hilton is located very near the beach and offers luxury rooms with private balconies allowing garden or ocean views. 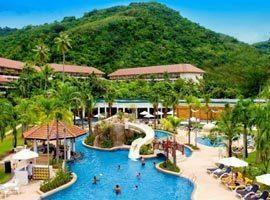 It offers 2 pools with water slide and waterfall, putting greens, kids club and fitness centre. Steps from the sun baked sands this 4 star resort enjoys high guest ratings. 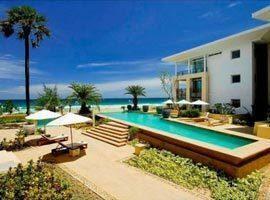 It offers deluxe pool access rooms, sea view suites and a 2 bedroom family suite. Enjoy a spa and pool with swim-up bar. Movenpick offers romantic plunge pool villas, including a penthouse plunge pool villa. If you are traveling with kids it has a kids club, kids pool with slide, 2 bedroom suites and residences with kitchenette. 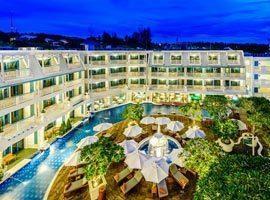 Near shopping, restaurants and entertainment The Old Phuket Hotel has a Sino Portuguese design. 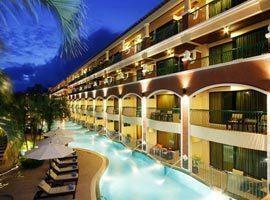 It offers deluxe rooms, spa deluxe and private jacuzzi rooms as well as rooms with direct pool access.